Did you know that recyclers walk on average about 20 kilometres per day to collect rubbish, which keeps our town clean? TVK Recyclers in Mkhondo are hard at work! 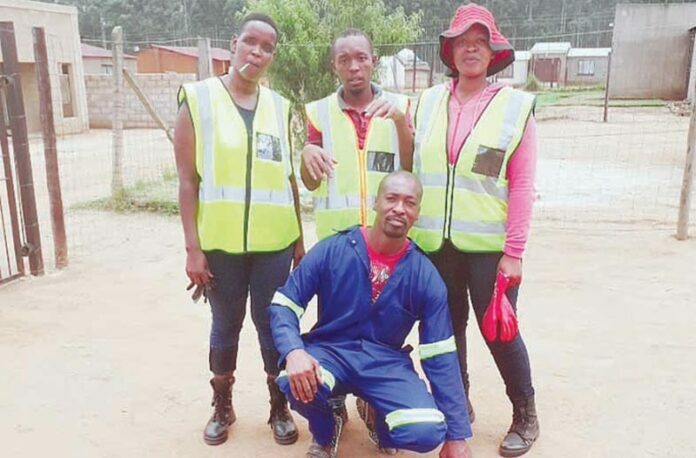 The founder, Mr Thabo Mathebula, together with his volunteers regularly gather, sort and recycle as much rubbish as possible in aid of trying to keep the various areas of Mkhondo clean from refuse. However, TVK Recyclers are facing various challenges as they allegedly are not receiving help from any local authorities. They need transportation of the recycled items as they are currently walking with huge bags and are dragging them to their place of residence. They also need a site where they are able to discard of the raw materials, sort through and recycle what they possibly can. Members of this non-profitable organisation are planning to attend the Propak Afrika 2019 exhibition, which will take place from 12 – 15 March, at the Nasrec Expo Centre, in Johannesburg. They are looking forward to the highlight of the event, the Waste Management Seminars, which will educate them on the newest developments in this industry and how they will be able to apply it to their recycling efforts in the Mkhondo area. If you would like to contribute towards TVK Recyclers or would like to find out what the organisation is all about, please contact Mr Mathebula on 072 551 9633.